Your lawns are great for enjoying the outside. However, the initial yards that came with your home may not be what you want. When it’s time to for a complete redesign of your outdoor areas, you have choices. However, not all landscape design and installation services are equal. When you need to balance convenience, cost, and the best results possible, you need Lawn Works to assist you. We have been helping many homeowners throughout our service area, discover the yards that they have always wanted. Whether you’re thinking of changing to a low-water yard, a private garden area, or merely have new plants installed; our team is the best choice for your needs each time. 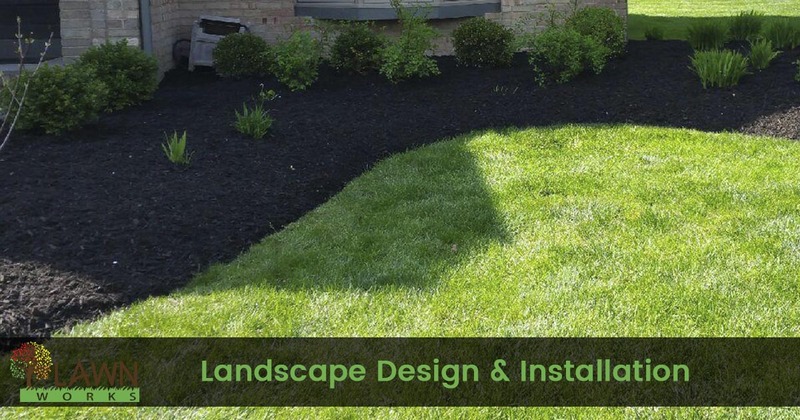 Call today for the best in local landscape design services. Some homeowners are unaware that landscape design exists. They may think that they are stuck with their dysfunctional outdoor spaces. Instead, our team can make any degree of change that you prefer, from adding small changes throughout to radical redesigning. By introducing new landscape, hardscape, and water features, small changes can achieve drastic results. Best of all, many new yards follow a set theme or style, making it easier to know what to add later. However, hiring a dedicated landscape designer or architect is expensive. Instead, we can save you more on your new yard each time. Our staff has the experience you need for a new yard without spending more than you must. When you need new features for less, you need us for your home. Call today for the better landscape design option. You’ll be glad that you hired us over anyone else! Many people just make the most of what their yard offers. However, not all lawns provide the same layout, space, and even functionality. Some yards are slanted and sloped, while others struggle to retain water. Other yards receive too much sunlight, while many homes can’t seem to get enough. Whatever greenspaces your home may have initially had, we have what you need to make any yard stand out. Whether you need to convert your outdoor areas to backyard entertainment spaces, have a new spice garden, or even struggle with a specific type of pest, we are here to help you. Some homeowners want ways to add personality and color to their outdoor spaces. Others prefer to have an Asian-themed garden area or a tropical oasis. Whatever the extent of your yard upgrades, our team achieves the best results each time. We have been shaping and redesigning more yards in the community than anyone else. And because we have experience in caring for plants, we know which species are best for your home. We never install flowers that we know will only wind up withering after just a few months. From helping you achieve a more whimsical atmosphere to reducing your monthly utility costs, our top landscape design services are ideal for you. Call now to learn more about how we can help you achieve the best yard possible.